The secret...is using milk. Forget using water-you'll never get that rich, creamy, and delicious taste without milk. We like to use 1% or 2% milk. Warm the milk in a pot on the stove, or simply pop it into the microwave for 1.5 minutes. Stir in the chocolate. Here's the clincher...adding the whipped cream makes it AMAZING. There's just something about the milk and the cream that just can't be beat. We use the whipped cream from Costco. I put out different candy sprinkles-different colors, shapes, etc. for the different holidays. 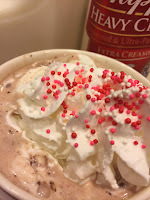 The kids have fun decorating their hot chocolate. It looks as good as it tastes! 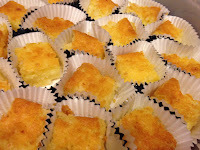 Best Butter Mochi Recipe-quick and easy! 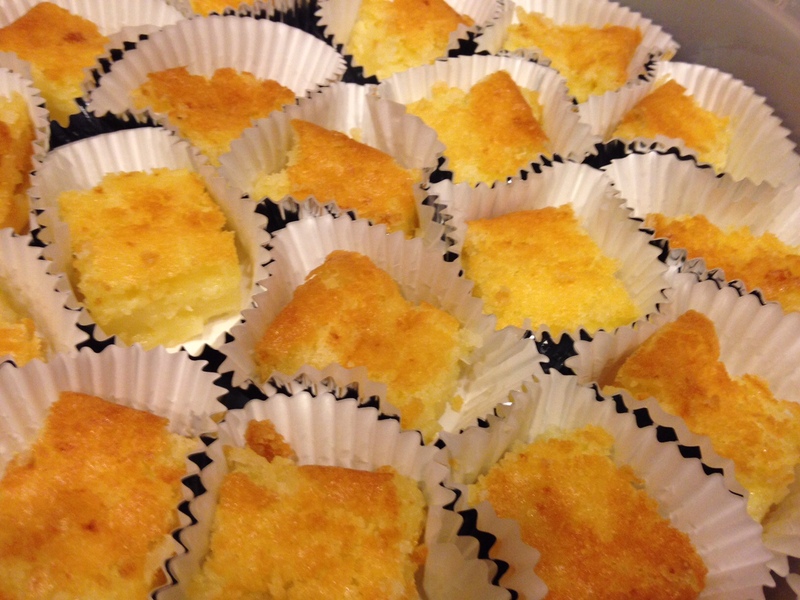 This recipe is the BEST butter mochi recipe. I receive lots of compliments whenever I make it for parties, for work, for my family. The best part is it is quick, easy, bakes in one 9x13" pan, and you don't need to refrigerate it. Combine Mochiko, sugar and baking powder, Combine remaining ingredients to the dry mixture. Pour into 9x13" pan and bake for one hour. Cool and cut into squares. I find using a plastic knife to cut the butter mochi is easiest so the knife won't stick to the mochi. This does not need to be refrigerated. It will last 2-3 days in moderate temperature.